Convert a fraction to a ratio by entering the numerator and denominator below. 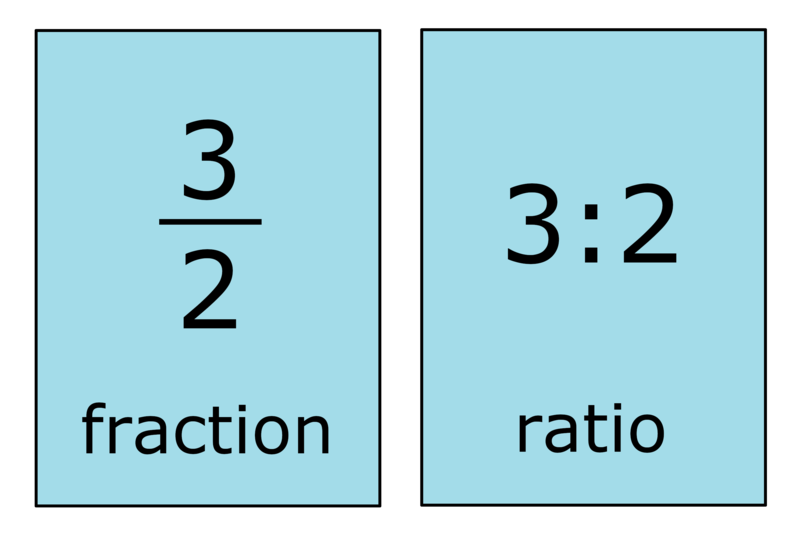 A fraction can be expressed as a ratio by following a few simple steps. The easiest way is to use the calculator above, which will show all of the steps in the conversion. Follow along to learn how to do it without a calculator. First, reduce the fraction if it is not already reduced. If the fraction is a mixed number then convert it to an improper fraction. The result should be a reduced numerator and denominator only, with no whole number. The second step is to rewrite the fraction as a ratio. A ratio is expressed as A:B, where A is the fraction numerator and B is the fraction denominator. For example, let’s convert 1 12 to a ratio. Start by converting 1 12 to an improper fraction. Then, rewrite 32 as a ratio. You might also be interested in our ratio to fraction calculator.